Retailers have been forced to evolve their mobility strategies in response to increasing consumer reliance on mobile devicesto guide and influence their shopping habits. As a small retailer, have you considered integrating mobile app development into your strategic business plan for the coming year? Companies that have successfully integrated mobility into their business models understand that mobile apps should improve operations in ways that maximize revenues and provide added value to the customer service experience and not simply bombard users with flashy features. Mobile applications of the most successful retailers are targeted and customized to that retailer’s goals and customer base. To bring this point home, we’ll be discussing 5 leading retailers in various industries and the mobile ecommerce solutions they have developed to help drive sales by attracting new consumers, improving their relationship with existing customers, and improving incremental sales. If these five industry leaders have found value in mobile innovation, you should ask yourself what’s stopping your company from adopting similar mobile app development strategies? According to Forrester’s 2015 Consumer survey, 64% of surveyed retailers claim that a mobile application-based loyalty program is the most effective method of connecting with their customer base. By enticing consumers with the ability to “skip the line,” Starbucks is able to draw in new members to their loyalty program, and thus increase the reach of their extremely targeted marketing efforts. 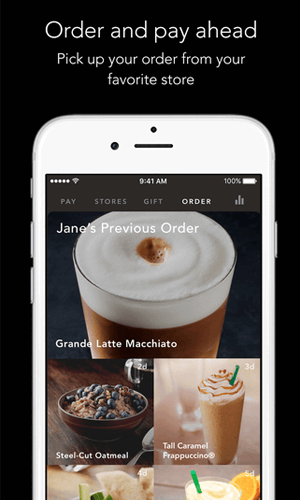 Other QSRs have integrated the ability to “order ahead” into their mobile applications. For example, Taco Bell was one of the first QSRs to enable orders to be placed via a mobile application, and the company has been able to capitalize on the habits of users to such a degree that they are seen as a blueprint for others looking to enter the mobile ordering game. 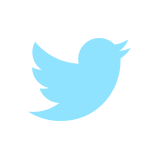 The benefits of allowing consumers to interact with your brand this way are numerous. Consumers see convenience while retailers are using the mobile transaction as an added revenue stream to bring in customers they may otherwise miss. Taco Bell’s data shows that mobile orders are 20% more than their average in-store check, as customers are showing more likely to add toppings to items through the mobile app and groups are more likely to place large orders. For more insights into the benefits mobile apps for retailers are giving to QSRs like Starbucks and Taco Bell, check out Evan Bakker’s article overviewing 2015 research findings from Business Insider Intelligence. When we talked about the “must have” features in mobile apps for retailers, we talked at length about the importance for grocery and department stores to engage consumers and either draw them into your company’s ecommerce suite or into your brick-and-mortar business. We talked about the importance of including the ability to scan items, to add favorite products and create lists, and especially how vital it was to include targeted and location specific marketing functionality. 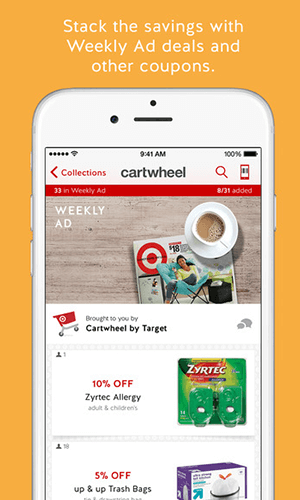 Target is a perfect example of how a retailer can incorporate all of these “must haves” into the mobile application: a coupon-clipping and bargain shopping application it calls Cartwheel. When the application was launched in March of 2014, the company reported a 251% jump in the time that users spent browsing and shopping at Target through a mobile device. 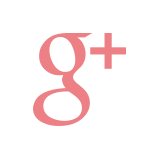 78% of consumers claim that price and promotions are the most influential factors on their purchasing activity. However, Cartwheel’s brilliance is that it removes the physical need to find and carry around an envelope full of coupons that must be managed and sorted and checked for expiration. Instead, the application generates targeted saving offers from users’ digital browsing and shopping habits and saves these offers within the application. In a recent survey of its followers, Mobile Commerce Daily found that roughly 51% of respondents to its poll tend to use a company’s mobile application while shopping in-store. This is a huge demographic that can be targeted through proper mobile app development focused on retailer strategies geared towards building loyalty, driving in-store sales, and increasing repeat business. Neiman Marcus has integrated many of the ways retailers interact with their clients into its SoLoMo-style application. 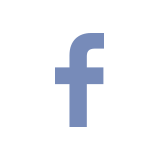 A mixture of social media, local retailer locations, and a targeted mobile experience, the retailer provides a truly individualized “co-shopping” experience in several of its locations. Sensors throughout the store track customers, and uses locational data to inform users of the sales associates available in the store currently, events that might be taking place in the store, promotions, and even guide them to products that are currently considered the latest trends. 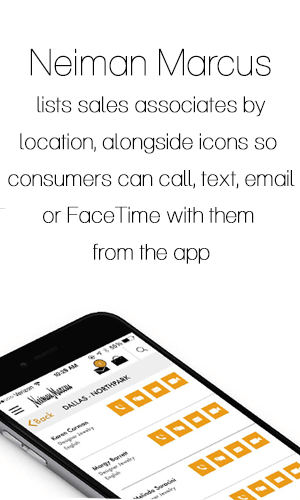 The mobile retail app allows users to make appointments with sales associates, scan QR codes in order to get information about a product, and even create lists of favorite products. 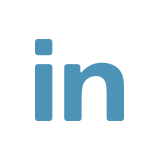 On the business side of the application, sales associates can access information on customers such as social media pages to easily identify customers in person, customer purchase history, and even client favorites lists. All of this is designed to allow the sales associates to provide shoppers with a more personalized and unique shopping experience targeted to the client’s needs instead of a company-led marketing initiative. Considered to be “the most digitally-savvy and mobile focused drugstore chain in the world,” the company sees more than 60% of its online traffic originate from smartphones. As such, the mobile application is a powerhouse of special features that leverages the ability to offer many services with in-app end-to-end care and support. 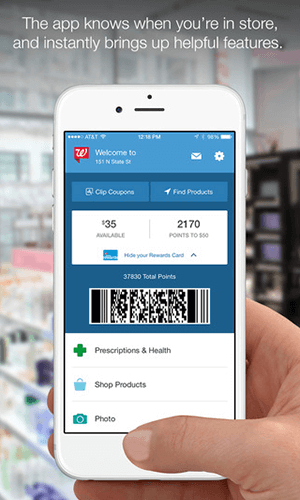 Users of the Walgreens app can transfer prescriptions between locations, refill prescriptions by way of scanning, and order photo prints through their smartphone. The company is even entering the telemedicine arena in several markets through its partnership with MDLive, with the goal of providing customers with access to 24-hour medical care. With the application’s launch in 2008, Walgreens became an early adopter of digital-first, and in 2013 opened the door to allowing customers to order online and pick up their orders at the closest local location. In some locations, they’ve gone as far as partnering with eBay for same-day delivery. The numbers tell the tale of Walgreens mobile success. Data collected by Walgreens showed that customers who combine online shopping with visits to the brick-and-mortar locations spent 3.5 times as much as customers who only shop in the store. More telling, the spending rate of those who also use the retailer’s mobile app jumped to 6 times the rate of shoppers who only visited the brick-and-mortar stores. With all of the focus many companies place on drawing in customers and tailoring the mobile experience to maximize consumer expenditure, it’s important to remind ourselves as retailers that in many cases, our employees are our most important customer and the strongest tool we have to engage clients walking in the door. 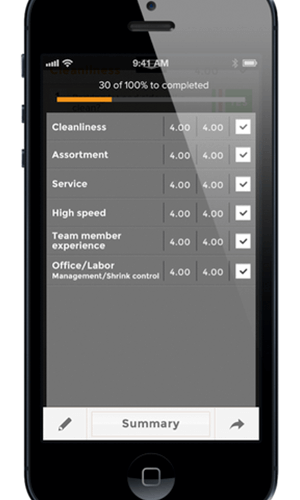 Family Dollar, considered in 2014 to be one of the fastest growing retailers, understood the need to focus on employee workflow from the outset of the company’s foray into mobile application development. With more than 300 district managers, each overseeing the operations of 20-25 stores, the sheer size of the company was a driving factor in the development of internal applications designed to simplify and automate many responsibilities of both managers and employees alike. This led to the development of the company’s “Cash App,” an application that helped leadership track metrics identified to have the most impact on a store’s performance, such as product organization, average prices relative to competition, and how employees meet customer satisfaction metrics. The company also created a mobile portal that consolidated store reports into a single location for weekly review. By digitizing and automating the collection of such data to an iPad, managers are spared hours of manual data entry and analysis. They can now spend more time on what matters – coaching, guiding, and teaching their employees to be better at meeting customer needs, rather than being bogged down in the data and details. It doesn’t matter if you’re a small single unit retailer or a multi-unit chain operating in multiple states, or even a massive multinational, the data increasingly tells us that no retailer can afford to ignore the importance of having a sound mobile application development strategy. Whether you focus mobile app development on drawing customers to your brick-and-mortar store, or you partner with a developer to build a robust e-commerce tool to increase incremental sales, or simply want to improve and streamline operational activities – no matter your business goals, no matter the size of your operation, ensure that you have a mobile solution in your toolbox. And not just any mobile solution would do. 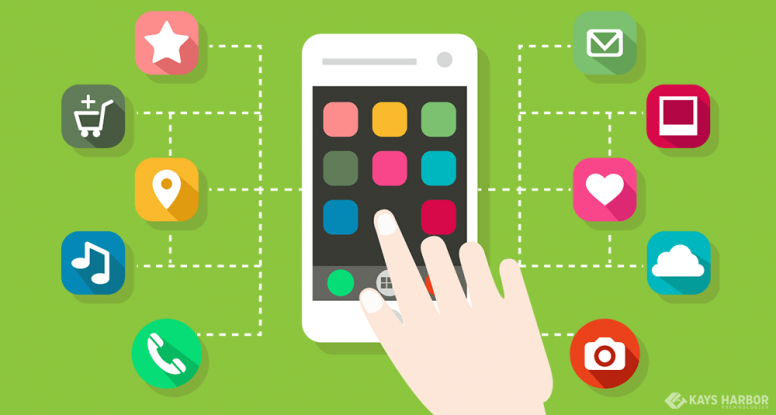 Why not take what you can learn from the industry leaders and focus your mobile retail app development on the similar strategies and take your business to the next level.